The Grand Old Duke of York is an old and very famous children's rhyme which is often performed as a song with actions. Like many popular nursery rhymes, the origins of the song have been debated for years and are still unclear. 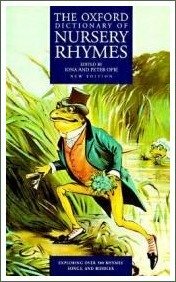 The rhyme's unusual in that it actually refers to a historical person so the discussion has pretty much centred around identifying which Duke is being referred to in the lyrics. The lyrics were first printed in their modern form in 1913 when they appeared in Arthur Rackham's Mother Goose. But the song can be traced back to a 1642 version called 'Old Tarlton's song'. This song is attributed to the stage clown Richard Tarlton who lived from 1530 until 1588. Came up a hill and so came downe againe. The song was sung in Warwickshire in 1892 about both the Duke of York and the King of France and from 1894 it was sung about Napoleon. Prince Frederick, Duke of York and Albany (1763–1827), is the man thought by most people to be the Duke in the song. The Grand Old Duke of York lends itself to varying the words, just for fun. In this clip you'll see and hear the Wiggles singing the original words and then a verse where the Grand Old Duke waltzes his 10,000 men up to the top of the hill! Encouraging kids to make up silly verses like these as you sing the song is great for stimulating their phonological awareness, as well as being loads of fun!